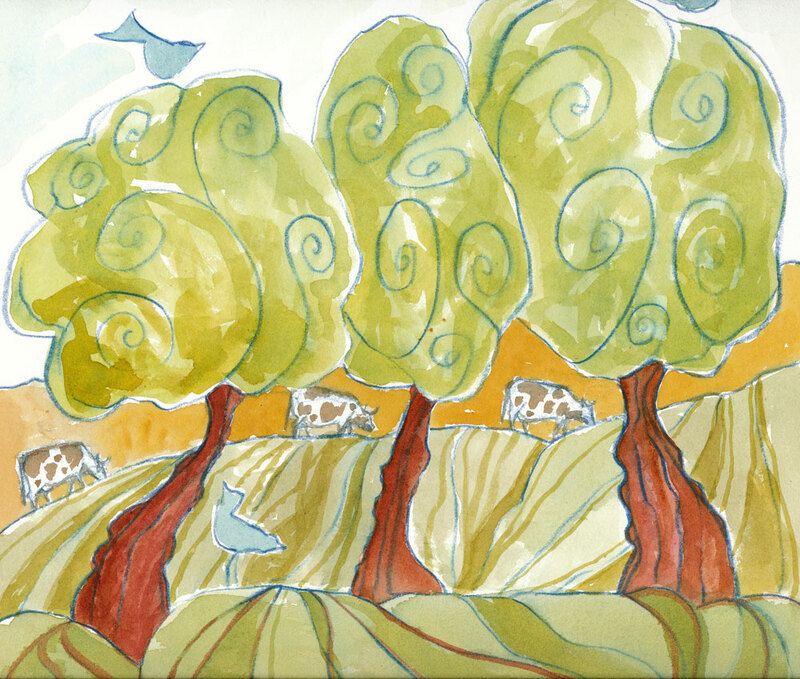 Pastoral is daily painting #4 (watercolor on paper), 10″ x 10″. This one’s a whimsical drawing, much like one of my smaller pieces–I wanted to see if it would work larger. This entry was posted in Uncategorized and tagged Artpony, birds and cows, Linda Kay Thomas, Linda Snider-Ward, Louisiana artist, paintings, River Gallery, Second Saturday, watercolor, whimsical art. Bookmark the permalink.